Ludwig Keller, born 28 March 1849 at Fritzlar, Germany, died 9 March 1915 in Berlin, attended school at Rinteln, studied classical philology at the universities of Leipzig and Marburg, and then specialized in archives. In 1874 he began his work in archives for Prussia. Until 1895 he was state archivist in Münster. Intensive study of the archives here led to the publication in 1885-1887 of Die Gegenreformation in Westfalen und dem Niederrhein (see also his articles, "Zur Geschichte der Wiedertäufer nach dem Untergang des Münsterischen Königreichs," Westdeutsche Zeitschrift 1, 1882, 429-468; and "Zur Kirchengeschichte Nordwestdeutschlands im 16. Jahrhundert," in Zeitschrift des bergischen Geschichtsvereins XV, 1879, 106-142) and to his realization that the religious brotherhoods outside the church organizations had been given a completely false evaluation in traditional presentations of church history. In succession Keller published his epoch-making writings, vindicating Anabaptism, and giving the initial impetus to an entirely new judgment and to most zealous inquiries into this religious movement. In 1880 his Geschichte der Wiedertäufer und ihres Reiches zu Münster appeared; in 1882, Ein Apostel der Wiedertäufer (Hans Denck); in 1885, Die Reformation und die älteren Reformparteien; in 1886, Die Waldenser und die deutschen Bibelübersetzungen; in 1887, Zur Geschichte der altevangelischen Gemeinden (a lecture given in Berlin on 20 April 1887); in 1888, Johann von Staupitz und die Anfänge der Reformation. 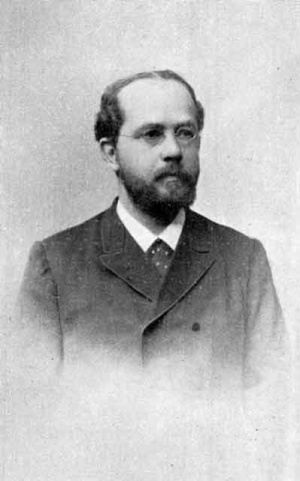 In addition to these he wrote a series of articles for the Mennonitische Blätter, 1883, 1885-1890; for the Gemeindeblatt, 1885-1889; and in the Allgemeine Deutsche Biographie. He was an ardent exponent of the idea that there was a direct connection between the Waldenses and the Anabaptists (Gemeindeblatt der Mennoniten, 1886, 70), and that their principles, doctrines, and institutions continued to live in the Christian church from its beginnings through the centuries in brotherhoods which he named "altevangelische Brüdergemeinden" (see also Mennonitische. Blätter, 1890, 113; Gemeindeblatt, 1890, 85). Keller was violently attacked. Nevertheless he continued undismayed on his way, which led him to a far-reaching syncretism. He had a vision of an ideal Christian brotherhood of humanity above the dogmatic ecclesiastical or materialistic, naturalistic view of the world. To bring about this brotherhood he won friends for it among the Baptists and Mennonites and other extra-church groups, including the Free Masons. On 10 October 1892 he instigated the organization of the Comenius-Gesellschaft, which published the Monatshefte der Comenius-Gesellschaft; in 1895 a pedagogical supplement was added, called Comeniusblätter für Volkserziehung. The former included a series of valuable informative articles and treatises from the past and present of Anabaptism (e.g., Monatshefte, 1897, 131-176, "Grundfragen der Reformationsgeschichte"; 1912, 115, "Zwei Jubiläen. Ein Beitrag zur religiösen Zeitgeschichte"). In 1897 Keller became a Mason. But his hope of finding in this organization fighting allies for his ideas was not fulfilled. Nevertheless he remained faithful to it. His prize-winning book, Die geistigen Grundlagen der Freimaurerei und das öffentliche Leben (1911), and Die Freimaurerei (1914) in the Teubner Collection, Aus Natur und Geisteswelt, were unusually successful. Ludwig Keller rendered the Mennonites a meritorious service by his historical research, which obligates them to lasting gratitude. Among the historians much influenced by him were not only the Mennonites John Horsch, Christian Neff, and Christian Hege, but also Karl Rembert and Friedrich Thudichum. J.H. Kurtz pays the following tribute to Keller in his widely used Lehrbuch der Kirchengeschichte (14th ed., 1906, Vol. II, 55): "It is Keller's achievement to have brought out into the forefront of scholarly consideration the great significance of Anabaptism in the history of the Christian spirit in the 16th century, and to have called emphatic attention to the rich religious literature and remarkable organizational activity of the Anabaptists as well as the primitive Christian elements in their movement." See also Ludwig Keller and the Mennonites. Doopsgezinde Bijdragen (1903): 151-163; (1911): 98-100. "Geisteskultur." Monatshefte der Comeniusgesellschaft. (1913): 78-86. Hege, Christian and Christian Neff. Mennonitisches Lexikon Frankfurt & Weierhof: Hege; Karlsruhe: Schneider, 1913-1967: v. II, 480. Neff, Christian. "Keller, Ludwig (1849-1915)." Global Anabaptist Mennonite Encyclopedia Online. 1957. Web. 23 Apr 2019. http://gameo.org/index.php?title=Keller,_Ludwig_(1849-1915)&oldid=146528. Neff, Christian. (1957). Keller, Ludwig (1849-1915). Global Anabaptist Mennonite Encyclopedia Online. Retrieved 23 April 2019, from http://gameo.org/index.php?title=Keller,_Ludwig_(1849-1915)&oldid=146528. Adapted by permission of Herald Press, Harrisonburg, Virginia, from Mennonite Encyclopedia, Vol. 3, pp. 162-163. All rights reserved.